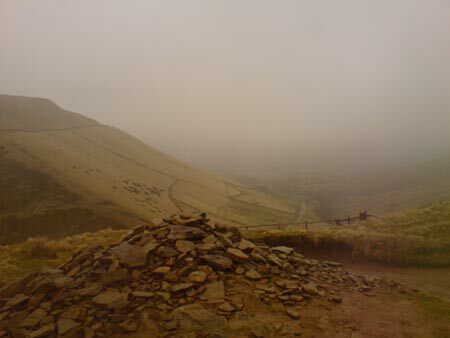 I received a text message on Friday from my flatmate containing the following picture of a lone figure up a mountain. 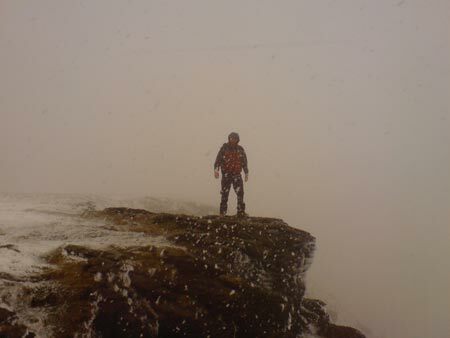 It was accompanied by the message that he’d just climbed some peak in some bad weather. The thing is, he was meant to be in work Friday… so I assumed he was joking. He wasn’t. When I got home that night I found him knackered claiming he’d learned three very important lessons. He said the weather turned very sharply, causing his maps to get soaked. Lucky he had his compass with him. Wasn’t he supposed to be working? Well yes, but when he woke up Friday morning he thought ‘sod this, I’m going up a mountain’. He does keep saying he wants me to go up there too… hmm, tempting as that sounds, I think not. 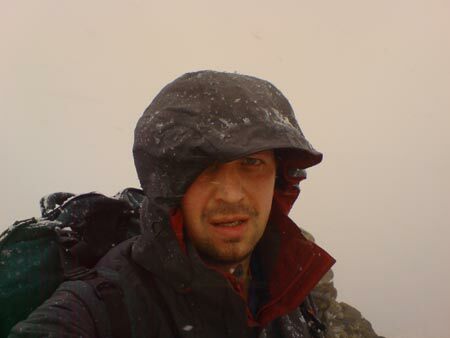 I’m all for Jeremy Clarkson’s idea of mountaineering when he ‘climbed’ a Scottish mountain in a Landrover, but as for actually getting out of the car and walking… no thanks. While this scenery may be very nice, I can still enjoy it in photographs, and unless I can turn round and see a well stocked bar in front of me, it can stay where it is.